A 3D four wheel alignment check plus steering and suspension check can save you money on fuel and tyres! The cause of mis-alignment can come from a variety of sources, whether it be bumping kerbs, hitting pot holes, or worn parts from general wear and tear - all of these are contributory factors. Checking your wheel alignment on your car or van regularly can prolong the life of your tyres by up to 12,000 miles, increase fuel efficiency and fix steering issues. What should I expect from my 3D Four Wheel Alignment? The V1200 Elite imaging wheel alignment system measures 14 primary alignment angles. These include camber, caster, thrust line and set back and of course, toe in or toe out on front and rear wheels. Comparisons are then made against the vehicle manufacturers’ data, for your specific car. The initial measurement should take no more than 15 - 25 minutes. The alignment technician will then be able to discuss with you the findings and which adjustments are necessary. When the alignment adjustments are complete, you will be presented with your personalised printout, showing the ‘before and after’ measurements. This is your guarantee that the work has been carried out to your satisfaction and should be kept with your vehicle servicing records. As experts in the trade we have invested in the John Bean V1200 Elite which offers incredible precision as well as fast results. 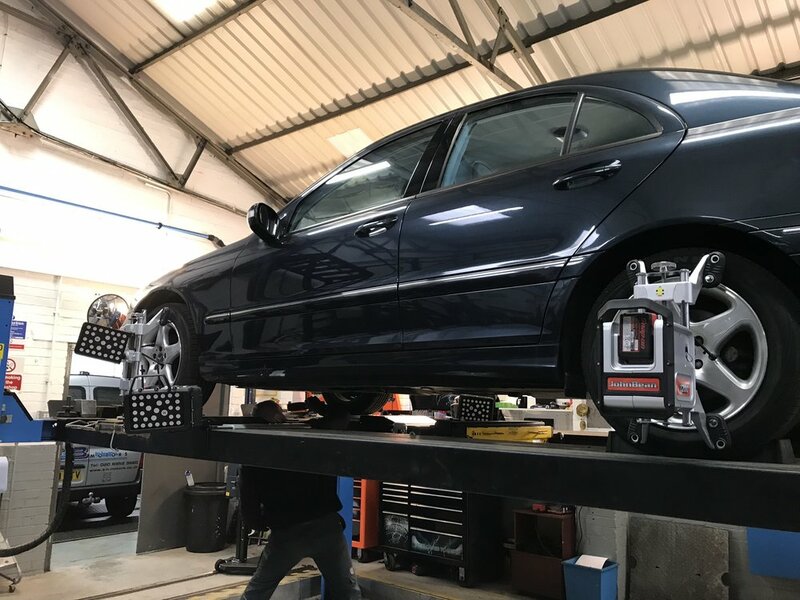 Using advanced XD cameras and sophisticated monitoring algorithms, the V1200 Wheel Alignment System detects issues with suspension stress and errors from lift clamps, environment, and more. We’re able to check and adjust Camber, Caster, Thrust Line, Toe in and Toe out.